What Is The Most Valuable Use Of Your Time, Right Now? 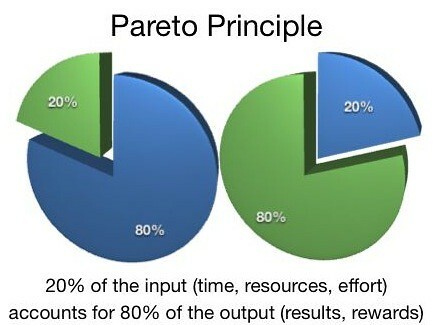 I discovered the pareto principle about 16 years ago when my company started a quality system initiative. Amazingly, this principle can be applied to many fields of endeavour and many different contexts. For example 80 % of the World wealth is controlled by 20 % of the people. If you start paying attention in your environment, you ‘ll discover many areas where the pareto principle works. When it comes to time management, the worst use of your time is to do what need not be done at all. The Pareto principle says that 20% of your activities will account for 80% of the value of your activities. This means that, if you have a list of ten items to accomplish, two of those items will be worth more than the other eight items together.To be really productive, you must always be concentrating on the small number of activities that contribute the greatest value to your life. The value of anything in your order of priorities can be measured by evaluating the consequences of doing it or not doing it. Something that is important has significant consequences in your life. Whatever it is, work on that. Your ability to discipline yourself to work on those few tasks that can make the greatest difference in your life is the key quality that makes everything else possible for you. Imagine that you are going to receive a $ 25 000.00 bonus at the end of the month if you can work on your highest priority items every minute of the day. How would that change your behavior? 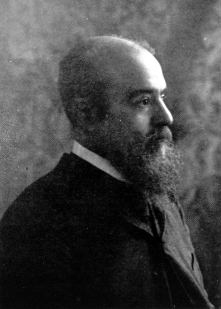 Vilfredo Federico Damaso Pareto 15 July 1848 – 19 August 1923), was an Italian engineer, sociologist, economist, and philosopher. He made several important contributions to economics, particularly in the study of income distribution and in the analysis of individuals’ choices. “His legacy as an economist was profound. Partly because of him, the field evolved from a branch of social philosophy as practiced by Adam Smith into a data intensive field of scientific research and mathematical equations. His books look more like modern economics than most other texts of that day: tables of statistics from across the world and ages, rows of integral signs and equations, intricate charts and graphs.” The pareto principle was named after him and built on observations of his such as that 80% of the land in Italy was owned by 20% of the population. The Pareto principle (also known as the 80-20 rule the law of the vital few) states that, for many events, roughly 80% of the effects come from 20% of the causes.